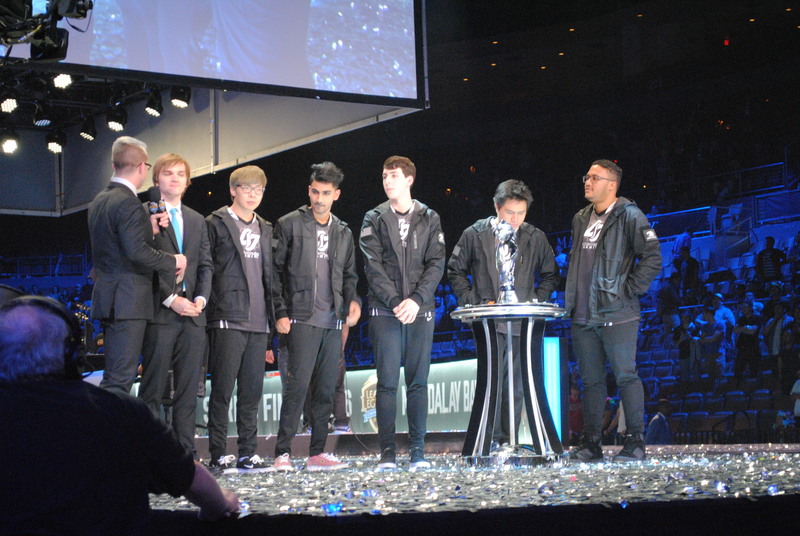 CLG conquered TSM after a grueling five game match this past weekend. 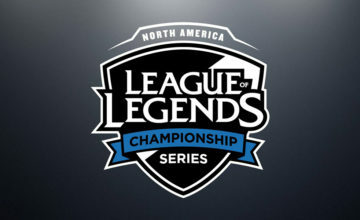 TSM played safe to nullify the aggression from CLG, but it wasn’t enough as CLG won the series 3-2. Stixxay’s rookie season was an impressive one to say the least. It was his Tristana that solidified his team’s championship title. 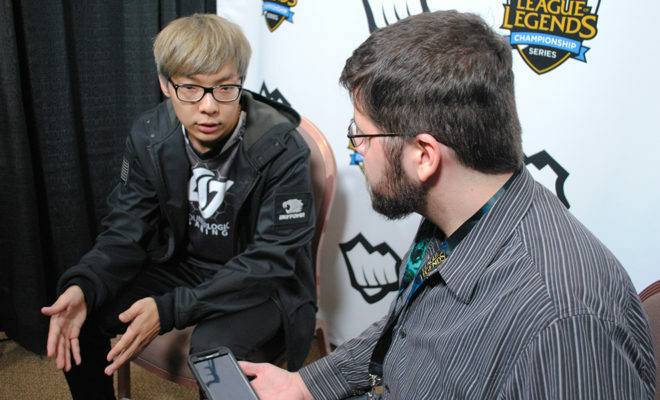 There was a lot of criticism and doubt when it came to CLG. Everyone said that TSM was going to win. Hell, even I thought TSM was going to win it all. I am happy to say I was proven wrong. 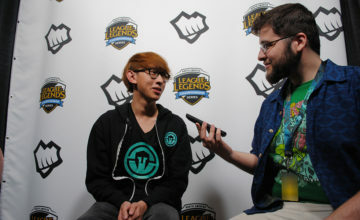 After the match I got to sit down with CLG’s midlaner Huhi and talk about the matches and his overall experience in the NA LCS with it being his first LCS. What is going through your mind after this win? Huhi: Since this is my first LCS season, we made it to the finals and won the LCS championship, it feels really good. Especially because everyone, almost everyone, was expecting us to underperform. And from the start of the split we were proving them wrong. In the series, in the playoffs, people thought we were going to lose. We were always the least fan favorite, but we always pulled out and we ended up winning the championship. I just feels really good and I hope we can have some more fans. What was it like playing against someone like Pobelter? 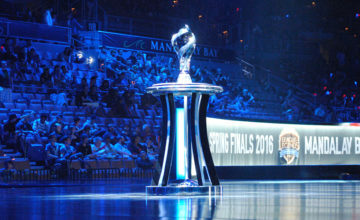 It is a name that carries a lot in the LCS, and what was it like trying to fill those shoes? Huhi: Replacing someone doesn’t feel very good. Especially because I have been through a split with him in the house. We knew each other and became good friends. It feels bad to replace him and he had to go to another team. Because, we’re friends, but we cannot be friends at the same time. I knew that I was better than him, in team play or micro-play. CLG just chose whoever would be better for the team. That was me. CLG was the only team to kill the massive win streak Immortals had during the series. I know it was a while back, but what was going through your mind after that particular match? H: After we beat Immortals, for me, it wasn’t very special because I knew that we were better than Immortals. Even in the first game we played against them, even though we lost, I knew it was because we messed up. It wasn’t because they were out performing us, or that they were outclassing us. We made mistakes. But after the win, it didn’t feel very special, but my team was just going crazy. Darshan was screaming and hugging us. And I was like, “Guys relax it is only a split. It’s nothing. It’s just a win. What are your plans for MSI, what do you think you guys can improve on? H: We need to make sure we are decisive while having good picks and bans. Tony is really doing a great job with picks and bans while analyzing other teams. We won’t change that much, but being more decisive and analyzing the other teams better are important. A lot of teams have some kind of dedicated decision maker. What is the team interaction during long team fights much like the ones we saw in all five games today? H: I would say in team fights we don’t have a shotcaller. Everyoone’s view of a team fight is different so everyone has an input and we all listen to it. We are all playing different champions so it depends on where we are in the fight. In scrims, we try to help who needs it. For example, the last game I was playing Lulu. I was being quiet sometimes saying, “Trevor you can go in, I have ulti and shield.” The last game we were calling the target as one. How do picks and bans go for you guys, a lot of interesting champions going through? What makes supportive mid lane champions a viable option? H: Picks and bans can go a thousand different ways. You just have to make sure you make the pick that is best for your team. For example, we knew we were going to prioritize bottom lane a lot. And we knew we were going to go into late game We knew this because TSM continued to play really safe. SO in that case, Lulu can be really strong as a hyper carry, especially with Tristana. The players just need to give the coach the right information and picks and bans can be easy. What’s it like laning against someone like Bjergsen? H: I didn’t feel nervous or anything. I wasn’t telling myself, “Oh it’s Bjergsen, its a dangerous lane.” I just said to myself, “It is just another game. Basically Solo Q.” Whoever plays the best will win and I played my best. The name of Bjergsen wasn’t bothering me. What kind of advice would you give Solo Q players, especially ones who main mid lane? H: For low elo players, it is really important to have a good mentality while playing a game. They should cheer their teammates in chat. Even though it is in chat, it still makes a difference. Someone can be playing badly, but someone can cheer them on in Solo Q and their gameplay can totally change. Everyone expects a level of trash talking. Cheering your team on makes a better environment. They’ll have a better chance to win. It is also really important to pick up one champion and be really good with that one. After you’re good with that champion, you can move to a new one. Zach: This was an eye opening interview for me. Huhi offered some genuine advice for low elo players and what was going through his mind while playing in the finals for his first LCS. While his numbers may not be the highest compared to other mid laners in the NA LCS. His title of Spring Split Champion outweighs all of that. CLG played as a team, and they deserved every bit of this win. Seeing them play so well this season, I can easily say they have earned a new fan. Congratulations again to Huhi and all of CLG for an epic win. I can’t wait to see what is in store for the team at MSI.